Picture perfect modern pool house and gardens in Sonoma, California. 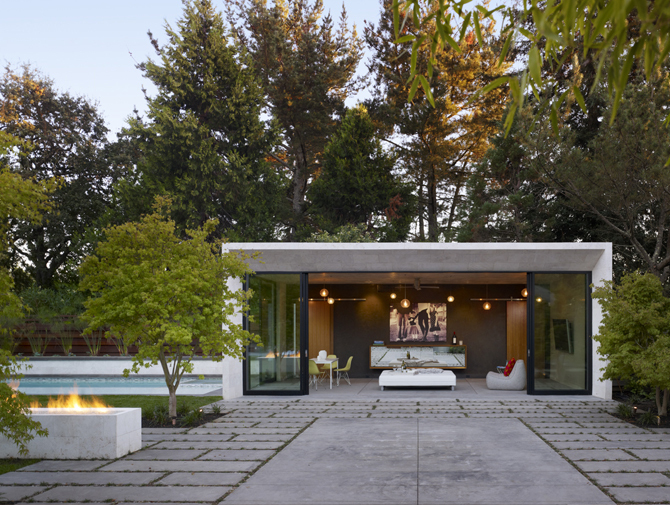 We love the clean minimalist lines and the unique beveled edge of this beautiful and well thought out modern pool house located in Sonoma California. Designed by notable San Francisco Bay Area architect George Bevan of Bevan & Associates.